Sniff and Spit was created in 2005 by drink expert, Rebecca Dunphy. The company is today one of the UK’s leading drink event companies, with years of experience, a blue-chip client list, a champagne tasting event hosted for the BBC’s ‘The Apprentice’ and so many unique ways of entertaining. Rebecca started out as a translator for the EU in Italy where she was bitten by the wine bug. 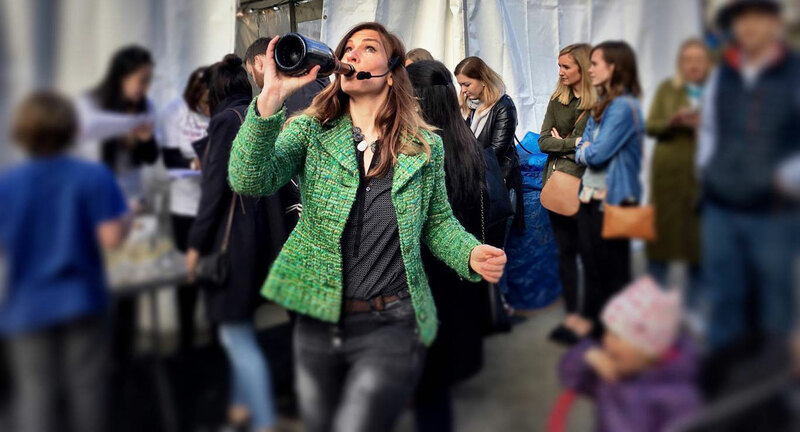 She has a Masters in wine from Australia, Wine & Spirits Diploma from the UK, is drinks and travel writer for Sainsbury’s Magazine and regularly works with celebrity chefs. If you’re looking for a fun-filled time with wine, spirits and cocktail tasting, then you’ve come to the right place!